On arriving at the Brisbane International Airport, after clearing immigration, you will be met by our Joy Travels representative who will have you transferred to the Holt Street Wharf to board the launch at 1000 hrs (exact timing to be confirmed upon arrival) for Tangalooma, a resort township in Queensland. After checking-in, you will have time to do what you wish. 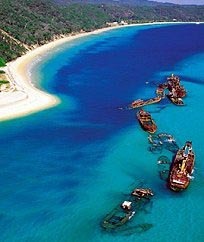 A whaling station known for its’ humpback whales, Tangalooma also has white beaches along which tourists love to swim. While Tangalooma is known for hand-feeding dolphins, there are several other land and water-based activities, such as whale watching, which are very popular. There are entertaining nightly activities besides a range of sports you may like to play. At sunset, you will be participating in the Wild Dolphin Feeding programme (weather permitting). Overnight at hotel in Tangalooma. Following breakfast, you will have to check-out of your room and leave your luggage with the concierge, while you explore the resort further, swim, or participate in a sports activity. Remember to return in time to leave the resort in the late afternoon, when you will be transferred to the launch to travel back to Holt Street Wharf. On reaching Brisbane at 1730 hrs, you will be transferred to the airport to board your flight to the Gold Coast. Upon arriving at the Gold Coast, our representative will have you transferred to a hotel. You may have the evening free to relax. Overnight at hotel in the Gold Coast. After breakfast, you will be visiting the Sea World, a theme park, which provides a magical experience as you get close to dolphins, sharks, and sting rays, as well as penguins and polar bears. Overnight at hotel in the Gold Coast. Post-breakfast, you will have another fun-filled day at the Warner Bros Movie World. Many international and Hindi films have been shot at the Warner Bros studios and a trip to the Movie World is entertaining for adults and children. Overnight at hotel in the Gold Coast. 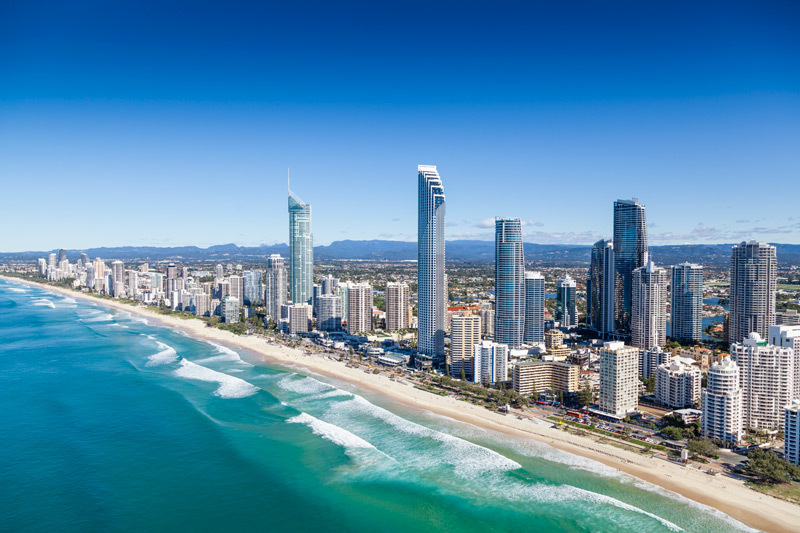 Following breakfast, you will be leaving the Gold Coast and get transferred to the airport for your flight to Brisbane airport to catch another flight to Sydney. You will be met by our local representative in Sydney, who will assist in your transfer to a hotel. You may have some time for leisure activities. Overnight at hotel in Sydney. After breakfast, you will be proceeding on a half-day tour of the city. You will be picked-up from Clock Tower Square, Corner Argyle & Harrington St at 1345 hr and taken to the famous Sydney Harbour Bridge and Bondi Beach. En route, you will be passing by Sydney’s magnificent Opera Hall. You will have to find your own way back to your hotel. You may like to visit other landmarks in the city, or go for shopping (at your own cost). Sydney has thousands of restaurants, cafes, bars, and pubs serving international cuisine; besides innumerable shopping districts, elite boutiques, and departmental stores, where you can shop to your heart’s content. Overnight at hotel in Sydney. Following breakfast, you will have a choice to go on one of the following tours – a full-day tour (Tour #284) to the Blue Mountains, or a full-day Dolphin Watch Cruise (Tour #286 – only on Wed & Sat). For the Dolphin cruise, there is a surcharge of AUD32.20 per adult & AUD16.10 per child. If you take the Blue Mountain Tour, you will be visiting a region of undisputed beauty with parks, gorges, and bushwalks. The iconic Three Sisters – a natural rock formation – are located in the Blue Mountains, overlooking the Jamison Valley. The Dolphin Cruise will enable you to see the antics of the dolphins from close quarters. After breakfast, you will be checking-out of your hotel for your scheduled transfer to the Sydney International Airport to catch your flight to Delhi.